First impressions count. Your appearance says a lot about. Often, your appearance is the first thing people see about you to draw conclusions about you. Did you know that your appearance is used by others to guess about your way of life? These days the work environment involves a lot of sitting with very little physical moving around. Hence, this causes individuals to become overweight, low in energy, and unhealthy. Studies show that healthy individuals have more endurance to work longer hours, have greater success with human relations, and are happier. Therefore, it is extremely important for you to take good care of your health and beauty. Good health and beauty will enhance your life by enabling you to achieve a happier and more successful life. 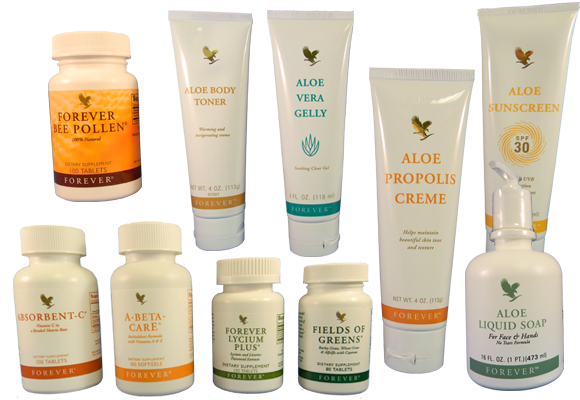 Let our Forever Healthy Store provide you with the best products and services to enhance your health and beauty for a better life.